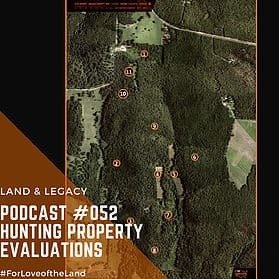 Over the past few months, Land & Legacy has been traveling the country working with landowners and hunters on properties of all shapes and sizes. We have been blessed to see some incredible country and habitat. With all the diverse habitat we have been able to look at each one with a unique perspective on plans moving forward. We share these insights to provide listeners from across the country real struggles and habitat conditions other managers face.